Hudson – Violette (Bonnafe) Gilles, 91, passed peacefully Tuesday March 15, 2011 at Beaumont Nursing Home in Westborough. She was the loving wife of the late Francis H. Gilles Jr., who died in 1983. Born Sept. 7, 1919 in Newport, R.I., the daughter of the late Oliver and Maria (Beauregard) Bonnafe, she resided in Hudson most of her life. She was a resident at New Horizons in Marlborough for six years and most recently was residing at Beaumont Nursing Home in Westborough. Mrs. Gilles was a 1936 graduate of Hudson High School and later graduated from the Fay School of Boston in 1938. She was employed by the Murphy Insurance Agency in Hudson for 18 years. She was a member of the Catholic Daughters in Hudson, the Hudson Emblem Club and Marlborough Hospital Auxiliary. 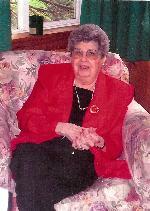 She was a member of Saint Michael's Parish in Hudson, where she spent many years as a volunteer at the Parish Office. She was an avid fan of the Red Sox, Patriots and Norwich University football. She leaves her children, James Gilles and his wife, Penny, of Florida; Ann McIntyre and her husband, Jack, of Milford; Barbara Weaver and her husband, Don Jr., of Hudson and Michael Gilles and his wife, Elia, of Bolton. She was the loving Memere of Shawn and Michael McIntyre of Milford, Stacy (Weaver) Sweeney of Medford, Matthew Weaver of Cambridge and Nicole and Ryan Gilles of Bolton and great-grandmother of Mickey and Brady Sweeney of Medford. She is also survived by her nieces and nephews. She was the sister of the late Oliver Bonnafe Jr.
Mrs. Gilles” family would like to thank all the staff from Beaumont in Westborough, for all their care and compassion, as well as New Horizons in Marlborough, where she spent six joyful years. A funeral Mass was celebrated March 19 from Saint Michael's Church, with burial at Saint Michael's Cemetery. The Tighe-Hamilton Funeral Home of Hudson assisted with arrangements. Memorial donations may be sent to the Friends of Milford Area Special Athletes, P.O. Box 81, Hopedale, MA 01747.